I really did not like Prometheus. The characters kept doing stupid things in order to create conflict and tension. The android antagonist seemed to act belligerently with no real reason to do so, and with the audience having no real idea what he was even trying to do. The tie-in to Alien also felt completely unnecessary and [more importantly] unwelcome. Apparently, the writers of Alien: Covenant saw those complaints and decided to double-down on all of them. Covenant completely lost me as soon as the crew steps off the lander without any sort of environmental suits or helmets. I could overlook the fact that the crew decides to land on the planet immediately instead of waiting for the storms to pass. Maybe they thought this was a rescue mission and time would be of the essence. Whatever. I could excuse them for somehow completely missing the ruins of an alien city being within walking distance of the source of the transmission. I could maybe even excuse the rapid pacing with which the alien gestates after being implanted by the facehugger, and how fast the alien grows. In the original movie, the facehugger was on the guy's face for like a whole day, then the chestburster doesn't pop out till the next day, and then it takes about another whole day for the xenomorph to grow to maturity. In Covenant, the whole process takes a matter of minutes or hours. I could overlook all that stuff in a cleverer movie. But setting foot on an unknown alien world without even bothering to protect yourself from potential contaminants, and then setting the entire movie's conflict on infectious agents, is just unforgivable. 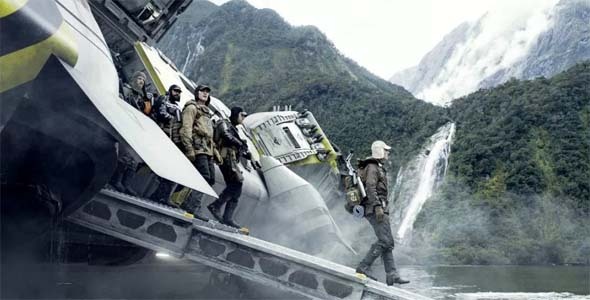 Even Prometheus at least got that right ... until the crew decided to all take off their helmets because scans indicated that the "air is breathable". Why aren't you wearing environmental suits?! You know what else is unforgivably stupid? Following a duplicitous android into his bio-weapon research lab and then sticking your face in an alien egg sac because he kindly asked you to. As soon as the captain found out that David had killed and/or experimented on Shaw, why didn't he just shot and killed him? The movie is also a structural and pacing nightmare. 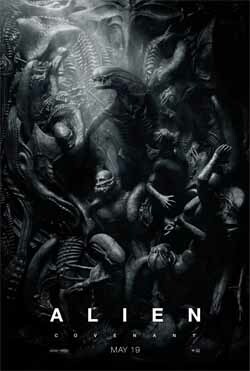 The first 20 minutes of movie feels like pointless filler; while the last 30 minutes is a lazy, rushed rehash of the first Alien movie without any of the tension, suspense, or mystery. I could buy into the first thirty minutes being a "world-building" exercise, but not when you then go on to fail so miserably at world-building by not having your protagonists follow the most rudimentary of sci-fi safety procedures. Once again, I am amazed by just how good this new Planet of the Apes franchise is. Both of the previous movies (Rise of the Planet of the Apes and Dawn of the Planet of the Apes) were my favorite movies of their respective years. 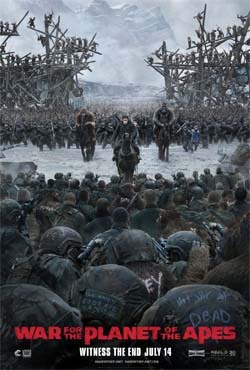 War for the Planet of the Apes would probably also be this year's hands-down favorite if it didn't have to compete with Logan. The most amazing and surprising thing is just how unlike a "summer Hollywood blockbuster" this summer Hollywood blockbuster looks and feels. 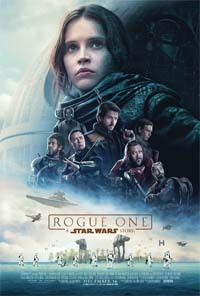 These movies have, as their premise, an apocalyptic world-changing event, but yet the writers and directors manage to avoid the traps of making an apocalyptic movie. The stories and conflicts are always very personal and feel small-scale and low-key compared to the events going on around them. 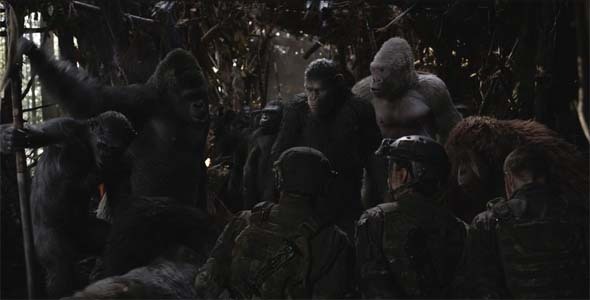 The focus of the movies also increasingly shifts away from the human characters and towards the ape characters. Most of the dialogue is in the form of sign language and gestures between ape characters. ... Same goes for the scum-bag who sat in the front row and then spent the entire third act checking his phone -- without even bothering to dim the brightness. You're in the front row! Everyone in the theater can see your phone glowing under the screen! Apocalypse reminds us: "the third one's always the worst"
There's a bit in X-Men: Apocalypse in which Cyclops, Jean Grey, Nightcrawler, and Jubilee are walking out of a theater after seeing Return of the Jedi. Cyclops and Jubilee are arguing about whether Empire was better than Star Wars, and Jean remarks that "we can all agree that the third one is always the worst". This, of course is a jab at X-Men 3: the Last Stand, which I'm sure we can all agree is still the worst of the X-Men movies. It's also the first one that Bryan Singer didn't direct. 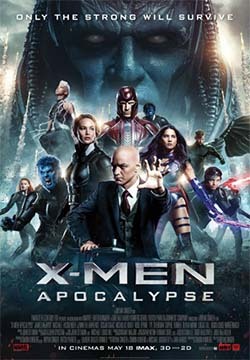 But what might - or might not - be lost on Singer and his writers is the little bit of irony that Apocalypse is also the third movie in a series: the prequel series that started with X-Men: First Class. Perhaps the clumsiest storyline here was the Four Horsemen themselves. As per the comics, Apocalypse must recruit four powerful mutants, amplify their powers, and then use them as his own personal bodyguards. 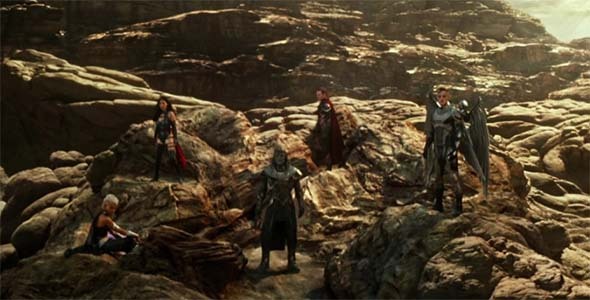 Other than Magneto, these characters' introductions and development all had to be rushed through. It seems a bit ironic that in these movies, it always seems to be the characters that we're most familiar with who get the most set-up and exposition; while the new characters receive little-or-no explanation or development. I never really bought into these horsemen though, or why they would be willing to help this obvious villain. I get that he tricked some of them with promises that he would "save humanity from itself", and he earned some loyalty with others by healing them and making them stronger, and that he used Magneto's grief and anger to his advantage, but the moment his plans started shifting away from "destroying corrupt systems and governments" towards outright "destroy the world", I just couldn't believe that none of the others batted an eye! Was there some kind of mind control going on as well? But he doesn't have mind control powers; that's why he wants Professor X. Aside from Magneto, The Four Horsemen felt undeveloped and lacking in motivation. Tags:X-Men, X-Men: Apocalypse, Bryan Singer, 20th Century Fox, Marvel, Marvel Comics, prequel, sequel, retcon, Apocalypse, four horsemen, mutant, Magneto, Storm, Archangel, Psylocke, Charles Xavier, Cyclops, Jean Grey, Beast, Hank McCoy, Nightcrawler, Mystique, Wolverine, Weapon X, Quicksilver, Jubilee, Pheonix, James McAvoy, Michael Fassbender, Oscar Isaac, Jennifer Lawrence, Evan Peters, Sophie Turner, Olivia Munn, Lana Condor, Hugh Jackman, Star Wars, Star Trek, Who Mourns for Adonais?